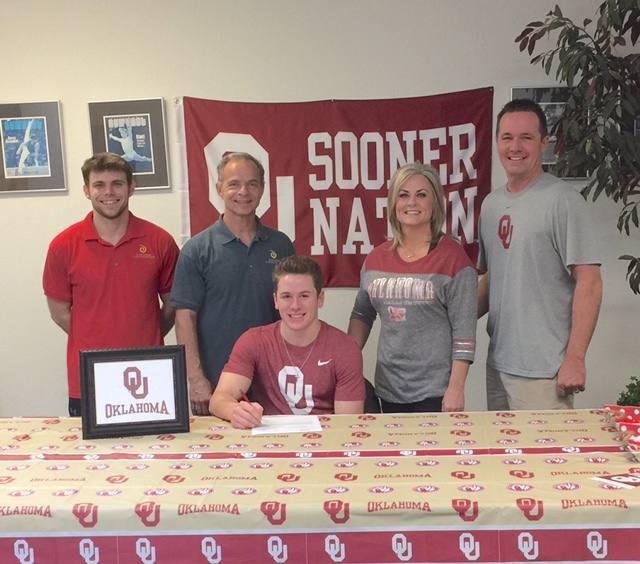 April 12, 2017- Gage Dyer signing his scholarship letter to the University of Oklahoma. Congratulations and we wish you the best! Next step- JO Nationals in Orlando!